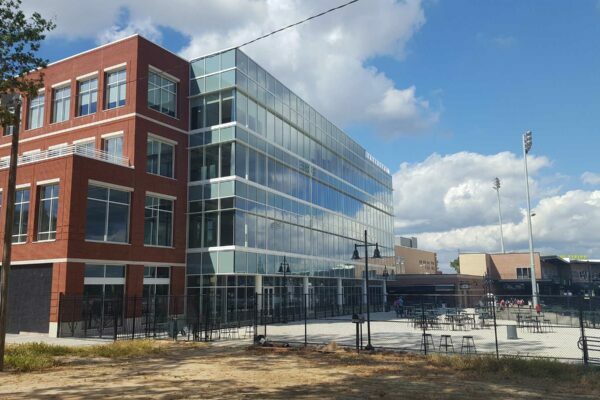 Ogletree Deakins has become the inaugural tenant of the First Base Building at the new Bull Street campus redevelopment, the employment and labor law firm confirmed Tuesday. Columbia's Minor League Baseball team finally has a name. City leaders and the team ownership from Hardball Capital held a news conference to unveil the name of the city's Columbia team as the Columbia Fireflies. The Mets have announced that they will move their Single-A affiliate in the South Atlantic League to Columbia, S.C. next season. Currently, that affiliate is stationed in Savannah, Ga. Spirit Communications wants to do more than own the naming rights to the capital city’s new minor league baseball stadium being built on the old State Hospital grounds. It wants to turn the redeveloped Bull Street campus into a gigabit community. More than $16.27 million has been subcontracted to local businesses for work on the Bull Street minor league baseball stadium, recently named Spirit Communication’s Park, part of a successful effort to hire out nearly half of the project through the city’s Subcontractor Outreach Program. Downtown Columbia has resumed the building boom that was interrupted by the Great Recession. It is changing so quickly that it soon could look and feel very different. How different? And what will the Next New Columbia be like? That’s what we’re writing about in this monthly series. Columbia Professional Baseball will start taking reservations next week for 16 luxury suites that are featured in the $37 million Spirit Communications Park, which is under construction at the Columbia Common development on Bull Street. Take it from Mike Sabatini, a senior architect for Populous, the design firm for Columbia’s new baseball stadium at the Bull Street development. Spirit Communications Park is going to be a home run. The City of Columbia and Columbia Professional Baseball, announced Wednesday that Spirit Communications will hold the rights to name the new, multi-use sports and entertainment venue at Columbia Common in downtown Columbia.